Leafless Dopatrium is an annual herb with stems often fleshy, simple or sparingly branched, mostly hairless. 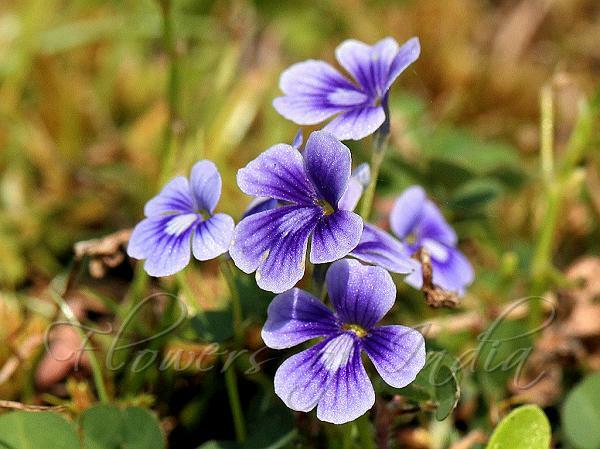 Showy blue flowers borne atop leafless stems. Calyx deeply 5-cut, sepals overlapping. Flower are somewhat two-lipped; flower tube slender at the base, dilated at the throat; upper lip shortly divided into two, lower lip spreading, broadly 3-lobed. Stamens are 4, the 2 posterior fertile, included, filaments thread-like, anther thecae parallel; anterior 2 reduced to staminodes, minute. Capsules are small, spherical, splitting open. 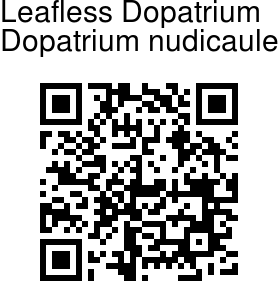 Leafless Dopatrium is found in Peninsular India, Sri Lanka and Philippines. Flowering: November-July. Identification credit: P.S. Sivaprasad Photographed in Point Calimere Wildlife Sanctuary. Nagapattinam distt., Tamil Nadu.